Cannabis Crystals 99% CBD (Pure CBD) - Buy CBD Crystals Online! 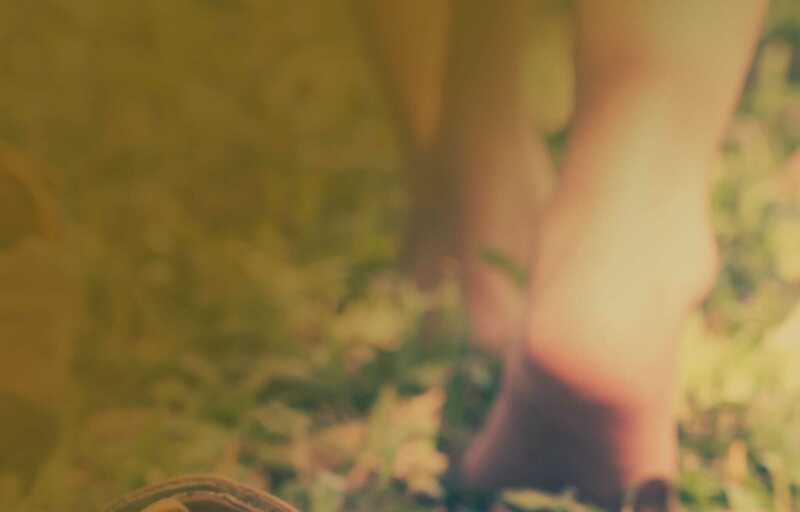 We live in a world where purity is valued and when it comes to CBD, this is no exception. That’s why we offer our 99% Pure CBD Crystals to customers who are looking for maximum purity CBD. Why is a high purity CBD product desirable? Many people are looking for pure CBD to add to other products such as edibles, cosmetics or for vaping. CBD Crystals are perfect for all of these delivery methods and can even be easily absorbed under the tongue. 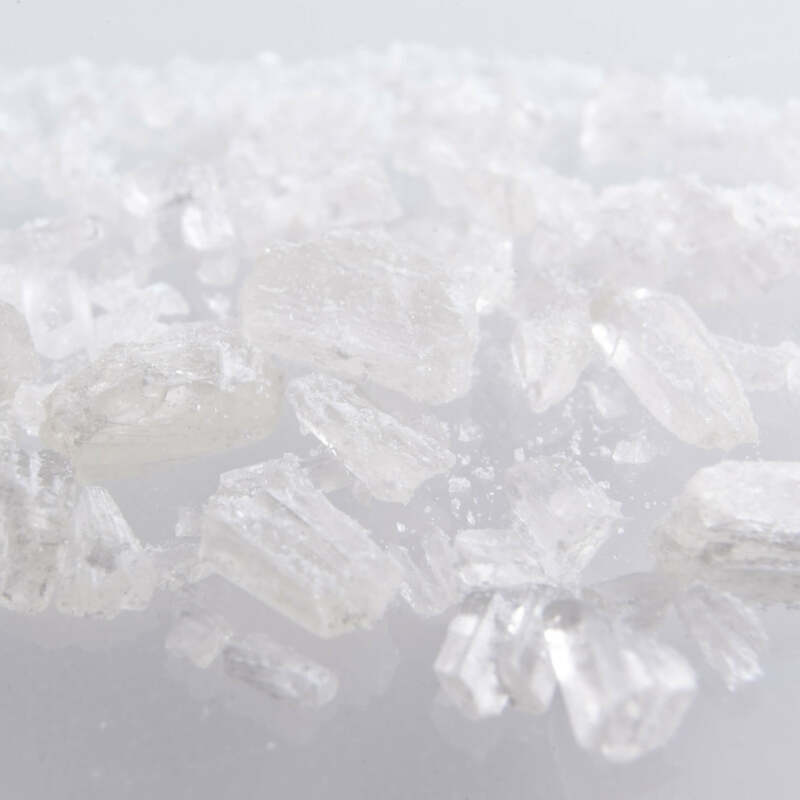 CBD Crystals, sometimes known as CBD isolate, are extracted from the cannabis sativa plant, which is why they’re also known as cannabis crystals. Like all our CBD products, the CBD used in our crystals comes from EU certified organic hemp using the state of the art Supercritical CO2 method. A second purification then takes place, separating the CBD from the other remaining phytonutrients until the desired purity is reached. 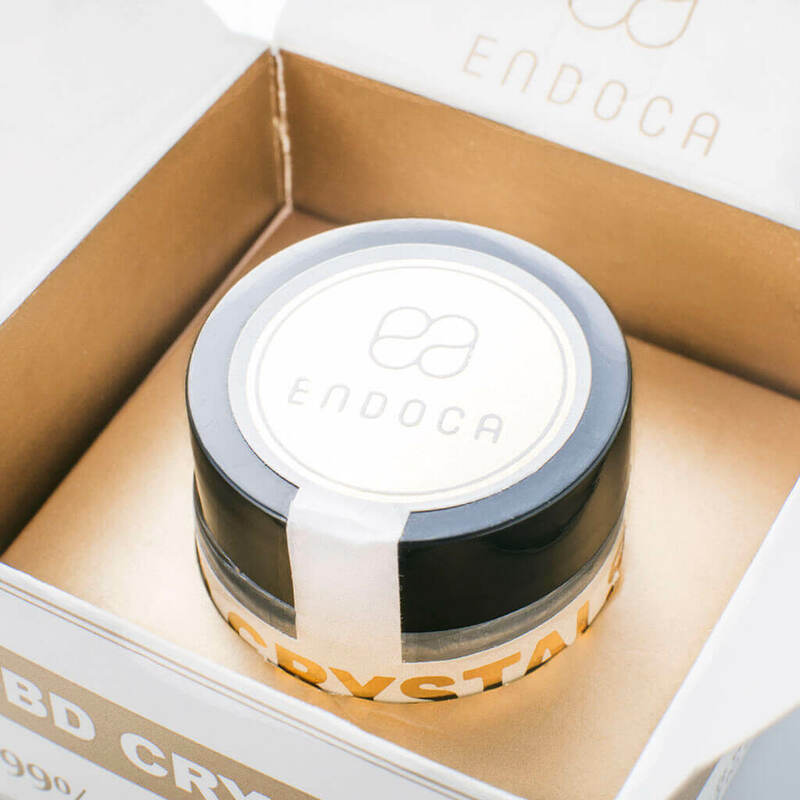 For more information on how to make CBD Crystals, check out this video in which Endoca CEO Henry Vincenty reveals all. 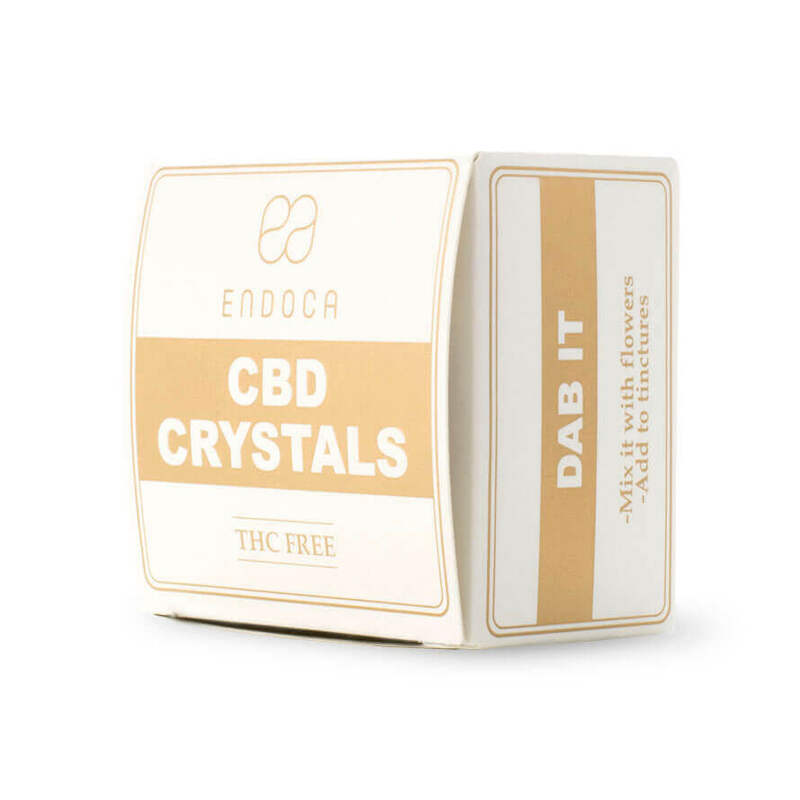 What Else do Pure CBD Crystals Contain? So if it’s 99% pure CBD Crystal, what is in the remaining 1%? What we can say for sure is that there is absolutely no THC, the psychoactive part of the plant. But there are small amounts of the terpenes Myrcene, Limonene, Alpha & Beta -pinene, Linalool, B-caryophyllene, Caryophyllene oxide, Terpinolene, and Humulene. 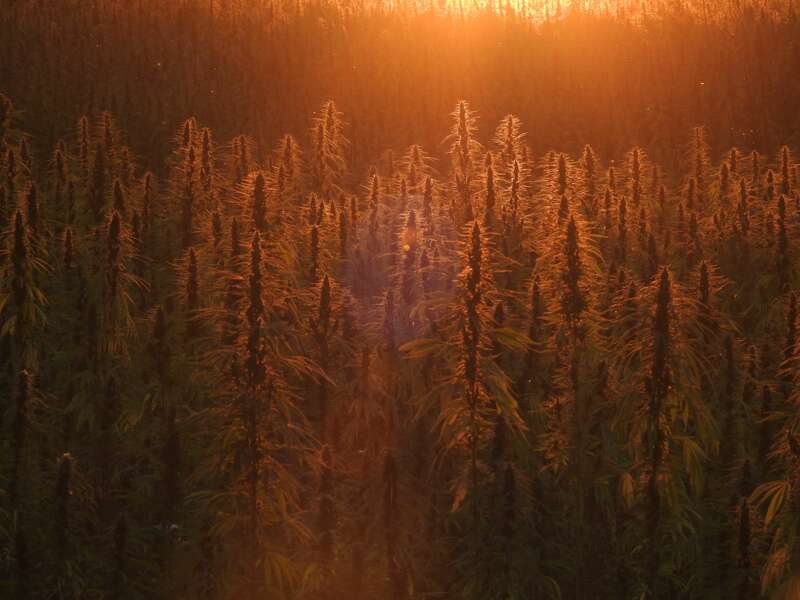 This is important because of what’s known as the entourage effect - the special synergy between the different botanical substances in the plant that can augment the effect of CBD. However, the levels are low enough to make CBD Crystals an attractive solution for someone with a sensitivity to terpenes. Vaping: Use an E-cigarette or vaporizer. This statement has not been evaluated by the FDA. Pregnant women and lactating mothers should not use this product. Always consult a medical doctor before modifying your diet or using any new product. This product is not intended to diagnose, treat, cure, or prevent any disease. 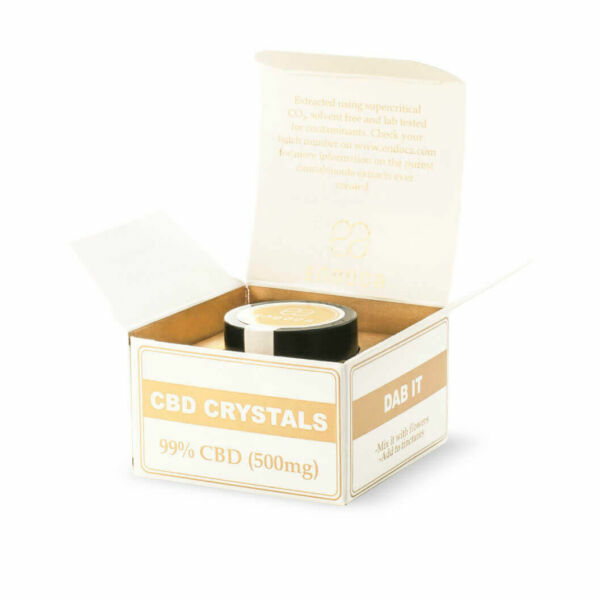 Should I Buy CBD Crystals? 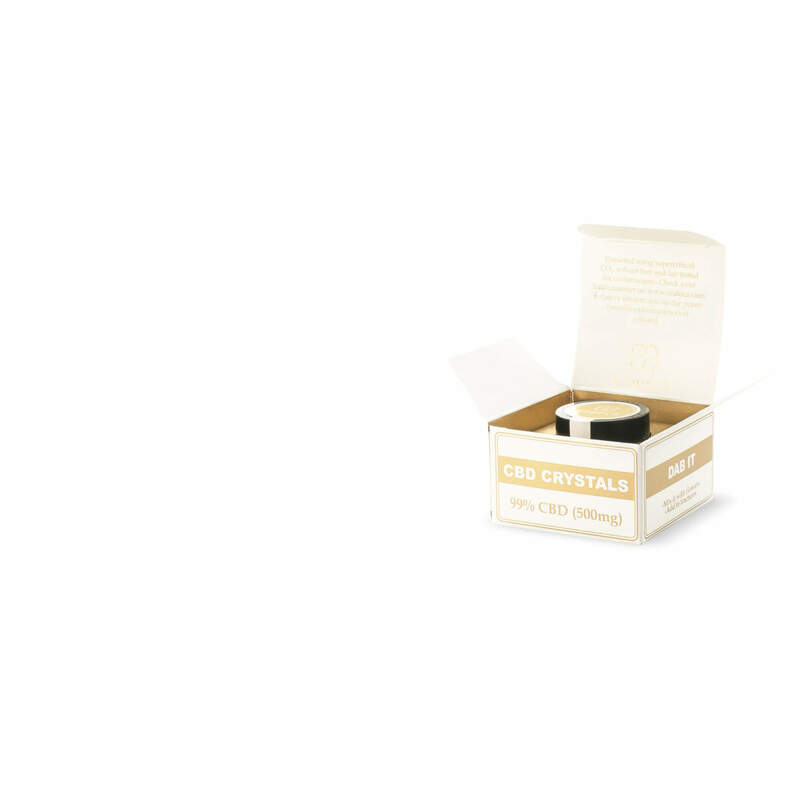 If you are considering making your own bespoke CBD products, like CBD Vape oil or edibles, then CBD Crystals are a good option. You can even make your own CBD tinctures by dissolving CBD Crystals into a carrier oil, such as coconut oil. 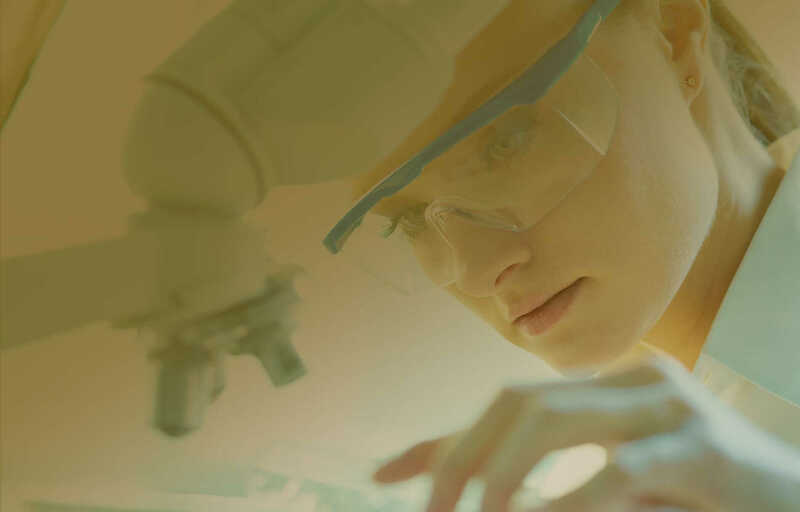 But ultimately, if you do decide to buy CBD Crystals, ensure that they have been extracted from organic hemp, come with lab tests to prove cannabinoid content and are made following Good Manufacturing Practice (GMP) standards. 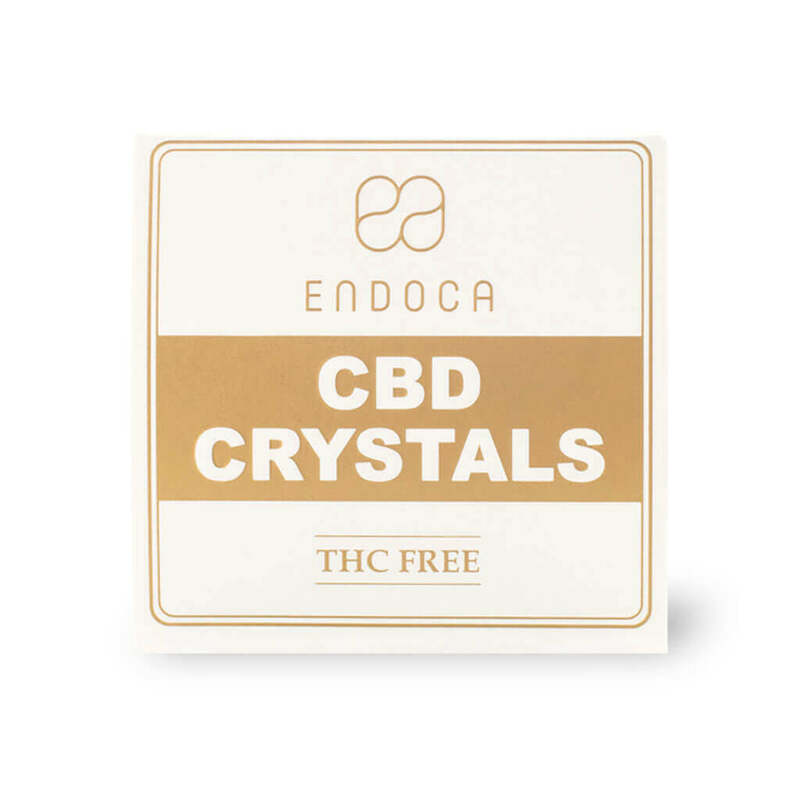 Endoca CBD Crystals contain 1/2g 500mg GMP grade 99% pure CBD and are extracted from the finest grade CBD-rich strains of Cannabis Sativa grown in the EU. 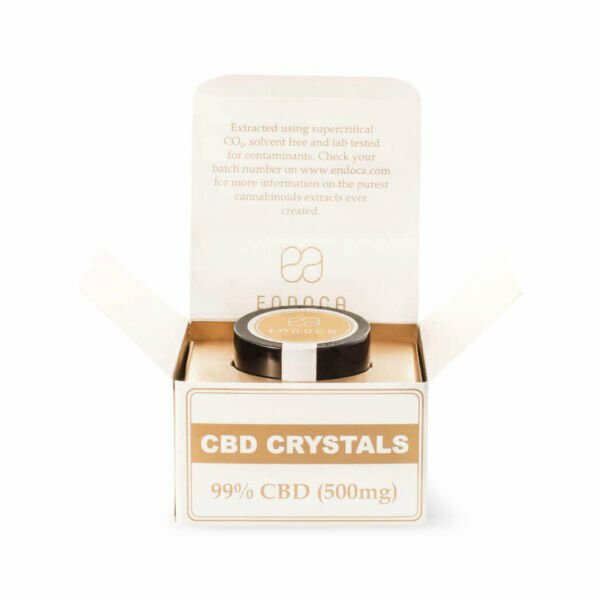 We are proud of our CBD Crystals, believing them to be the purest CBD extract on the market, as they are solvent free and lab tested.